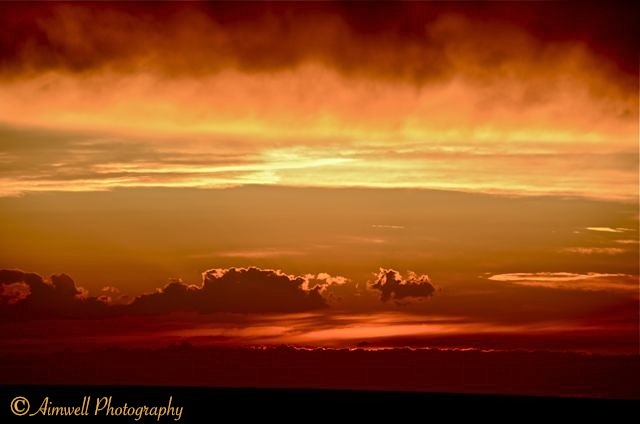 A few miles down the highway from the image featured in my last post was this magnificent fiery sky. I am in awe of nature generally. When I consider the miracle of everything that surrounds us, and renews itself, and dies and is reborn it has the ability to leave me speechless. And perhaps that’s where my creativity is vacationing — in the realm of the speechless as I contemplate and regroup following the attempted suicide of my loved one and all that means on so many levels. Perhaps the other thing I find intriguing about all this red and orange is reflected in the renewed fire for life I feel emerging inside of me as the dark clouds that have hovered begin to part. I’ve been on a healing journey the past few years and there is light at the end of that dark tunnel. I can feel it. I mentioned in my last post a renewed interest in genealogical research. I’m beginning to realize that delving into family history is going to play a part in my healing process. This, however, is a topic for another day. This entry was posted in Alberta, Canada, Landscapes, Musings, Nature, Photography, Reflections, Thoughts, Travel, Uncategorized and tagged Alberta, landscape, Light and shadow, Photography, sunset, Travel, Weather. Bookmark the permalink.